Presenting the 5775 Mangoverse Passover Special! 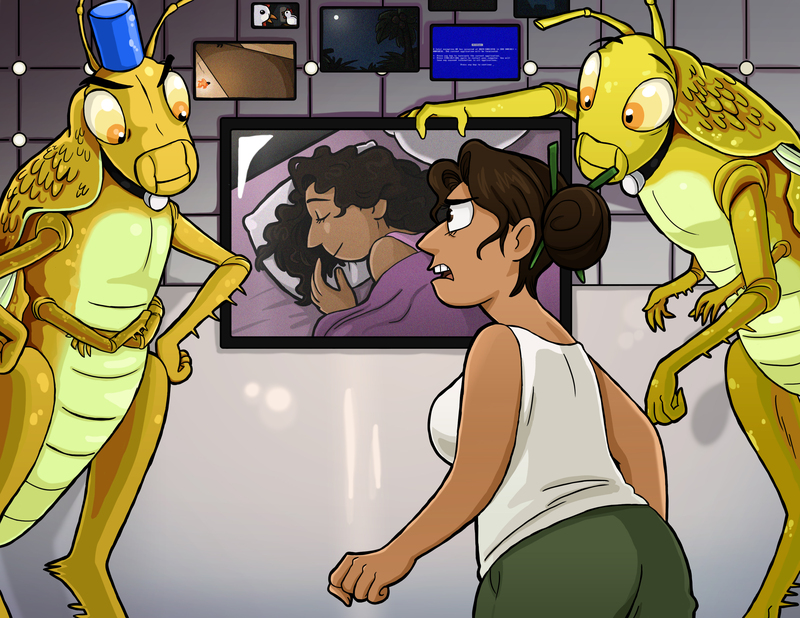 Aviva and the Aliens: Aviva, chef turned royal mistress, must outwit the aliens who abduct her just before Passover in hopes she’ll be a better cook than their spaceship’s food replicator. Tales from Outer Lands, which also includes a serious, action-packed short about one of Rivka’s adventures on the road, is available from Prizm Books and Amazon, and included free with the paperback edition of A Harvest of Ripe Figs. Picture by Becca Schauer. This entry was posted in Uncategorized and tagged aliens, bisexual, bisexual characters, femslash, jewish, jews, lesbian, lgbt, lgbtq, passover, pesach, queer, qwoc, sci-fi, science fiction, short stories, stories, women-of-color. Bookmark the permalink.